FIREFORCE will release their sophomore album "Deathbringer" through Limb Music on June 20th 2014. 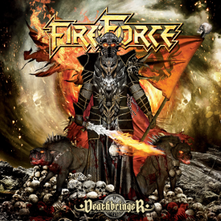 FIREFORCE rose from the ashes of the Belgian metal band Double Diamond in autumn 2008. 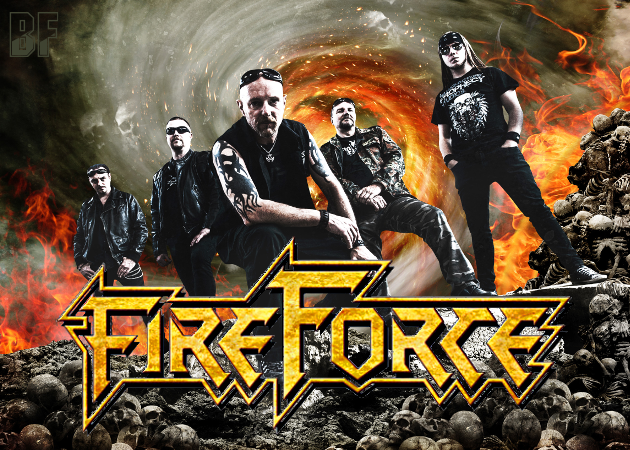 Their music is called as a Combat Power Metal and have released so far an EP "Moonlight Lady" (2009) and their debut album "March On" (2011). Now they are back on the road with their long-awaited second album "Deathbringer" which is an absolutely pure Heavy Metal album. The album contains thirteen tracks all comprising of stunning riffs, hammering drums and rounded off with neck-breaking rhythms. You will not be able to stop the adrenaline rushing from your body. On this album, it's included the great cover version of the Tygers Of Pan Tang classic "Gangland" by singer Filip "Flype” Lemmens and comes very close to the original.